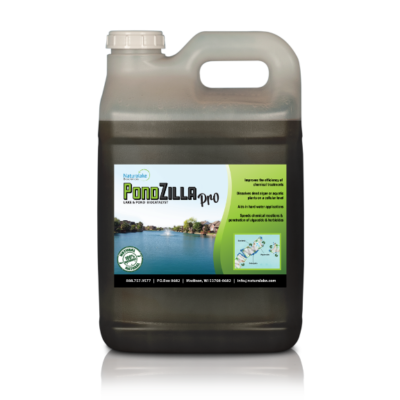 CattZilla is a pioneering adjuvant that uses biochemistry to aid the treatment of cattails, bulrush, and similar plants. CattZilla enhances the penetration and efficiency of herbicides and speeds the breakdown of dead stalks and shoots from the inside out. CattZilla aids chemical treatments and will not kill anything alone. When applied in mid to late summer when the cattails are fully developed, use of Cattzilla combined with an aquatic herbicide will promote a rapid collapse of the plant and continued degradation of the dead plant material. * This product is not for use in the State of Michigan. In California, Oregon and Washington use Cattzilla California. 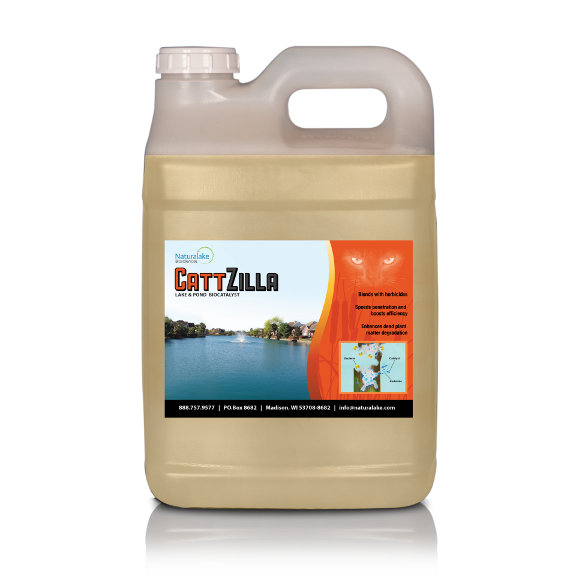 Cattzilla California is used 1 day to 1 week after aquatic herbicide treatment. Rules for application must be followed in each state. Some states will not allow the use of this product and others have special permits. Call us, 888.757.9575 for more information. Cattails are supported by a rigid cellular framework that allows them to grow up to 20 feet tall and withstand both wind and gravity. This cellular framework is made of complex proteins, carbohydrates, fatty acids, and minerals. In early spring, carbohydrates stored in the rhizomes are converted to energy for shoot growth. In addition, Cattails have a well-developed aerenchyma that allows for gas to exchange aerobically from the leaves to the roots. Even standing dead cattails will support this gas exchange and contribute to new growth. When cattails are green and in full bloom, excess carbohydrates are returned through the rhizomes to the root system for storage. Herbicide applications (glyphosate, imazapyr, imazamox) are used at this time until the first frost to get the most benefit of this translocation process. CattZilla works synergistically with the aquatic herbicide to speed penetration and enhance the degradation of the cattail’s dead cellular framework. When the supporting framework weakens, the dead cattails will fall and disrupt the gas exchange through the aerenchyma. After the cattails fall, Cattzilla promotes continued degradation of the stalks and rhizomes. This image depicts the fatty acid that is one component of CattZilla: the water-soluble head (green) and oil soluble tail (orange). Each part responds to a separate substrate, allowing a more complete penetration. *Mix directly with herbicide and follow herbicide rate and instructions. 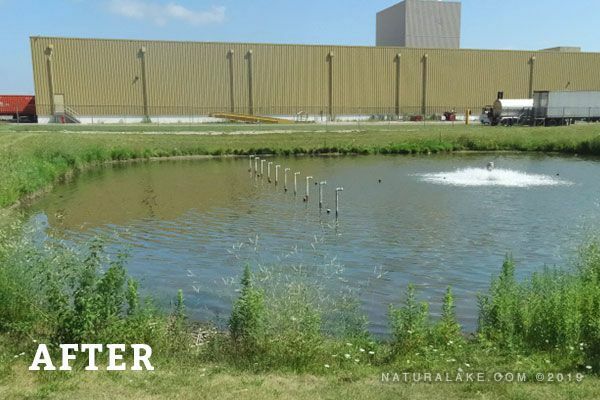 SUMMARY: A small stormwater pond was experiencing cattail infestations. 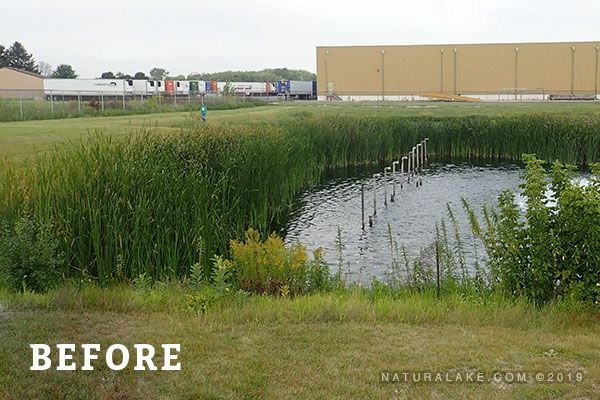 The property owners in charge of the stormwater pond did not want to destroy the surround area by using traditional cattail removal methods. SOLUTION: Integrate CattZilla into an herbicide treatment program to improve treatment efficiency and reduce the dead cattail biomass. RESULTS: The treatment was successful and CattZilla reduced the cattail infestation, saved the surrounding property and money. SUMMARY: A Louisiana sugar refinery was experiencing a large stand of rapidly growing cattails. 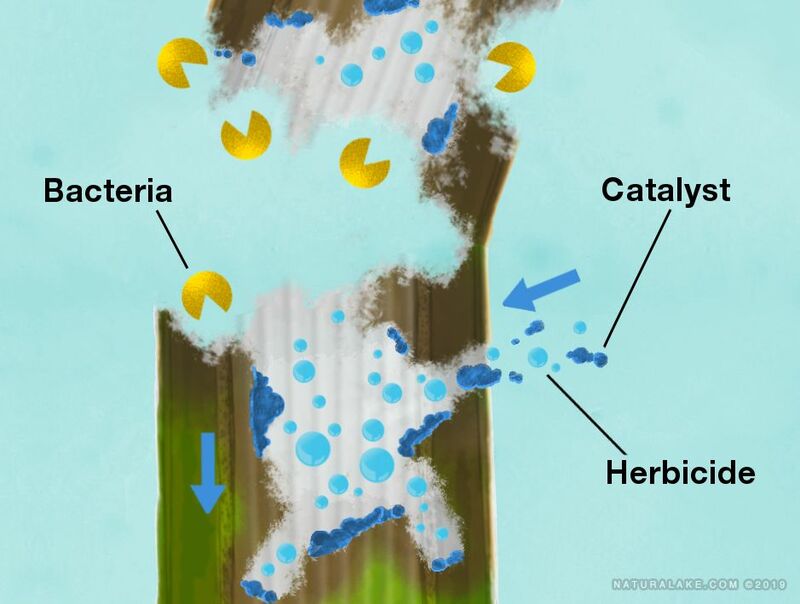 SOLUTION: Glyphosate and Imazapyr with a surfactant were used to control the cattails. Catzilla was added at a standard rate to speed decomposition. RESULTS: After three weeks the areas treated around the perimeter were devastated, with full kill and lots of stalks breaking stalks falling over. The kill was not temporary and the effect was substantial reduction of the cattail coverage over the treatment area.